Fine Ballast Bag Light Gray/18 cu. in. 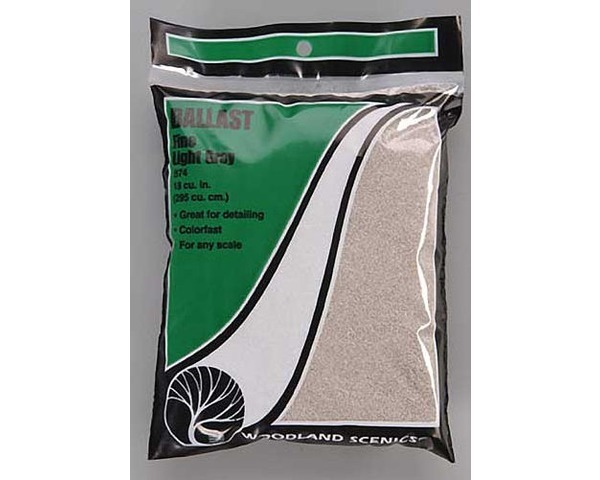 Woodland Scenics brand Package of Woodland Scenics' Fine Ballast (Light Gray). Woodland Scenics knows the importance of the right color for indicating types of track and USAge. Ballast may be used for trackside, wagon loads, roadworks or gravel bins. Woodland Scenics WOOB74 Fine Ballast Bag Light Gray/18 cu. in.